As this is my first blog on the Ulster PR Student site, I want to introduce myself as Shannon – a lover of tea (strictly Punjana), Yankee Candles (Lovely Kiku obviously) and American Country music. Although these are the things that keep me sane, I also dabble in some PR, Events and Marketing activities as a student of Communications, Advertising and Marketing. Swiftly moving on to the election that will shape generations to come.. I have spent the last few days spending my time explaining the basics of the election to co-workers (some in their 40’s, some not yet legal to vote), family members and class-mates. This is by no means a comprehensive analysis of the Assembly Election, however if you are like the majority of people and have enough interest in politics to know that Sinn Fein are nationalist, this quick guide will help you make sense of the political jargon that is plastered on your newsfeed. There were 90 seats up for grabs in comparison to 2016’s election where there were 108 seats to be won. That means there are 90 people across Northern Ireland that will be voted to represent you and your constituency in the NI Assembly. It is written in NI’s constitution that there must be a unionist and nationalist coalition of parties in power – power sharing. The leader of the party with the most seats takes ‘first minister’ position, traditionally this is the leader of the DUP – in this case Arlene Foster – and the ‘deputy first minister’ position taken by the leader of the second biggest party – traditionally Sinn Fein (Michelle O’Neill). OK. Now that we have the basics out of the way, this is how the results went. 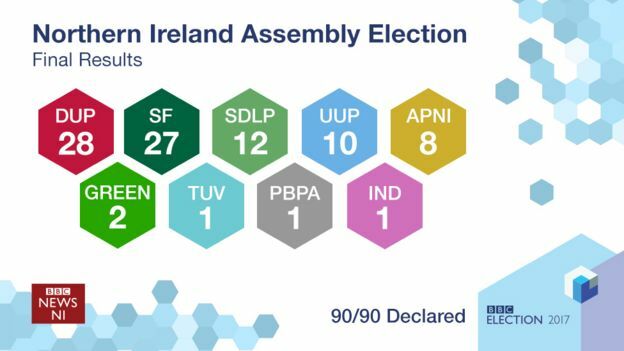 AKA DUP got served, Sinn Fein triumphed, SDLP winged it, UUP are in tatters and Alliance keep getting the vote of those who think their party is about ‘friendship’. 812,783 of you got out of the house and utilised your vote. That’s more than 80,000 more votes than just 10 months ago at the last election. Think of it as Croke Park stadium being packed out, and everyone there is really angry at Arlene Foster and they show up to vote against her. Petition of Concern – Yay Gay! As you may or may not have seen in recent times, the DUP have consecutively blocked the motion of ‘Gay Marriage’ passing through to legislation (FIVE times) – despite a clear want from the people of the modern world. Now, because the DUP failed to attain 30 seats, they have lost that petition of concern, and are now unable to SOLELY block this. This does not guarantee us that gay marriage will be legalised, but it’s one hell of a way to show those in NI still stuck in the 1900’s that discrimination won’t be tolerated any more in a new, modern Northern Ireland. For the first time since the Good Friday Agreement.. or ever for that matter, there is no Unionist majority voted in to the Assembly. Currently as it stands, 40 of those candidates voted in are unionist, and 39 are nationalist. The rest deem themselves as ‘other’ and can fall on either side of the divide. Michelle O’Neill has hailed this as the biggest victory of the election, claiming AE17 has ‘demolished any notion of a perpetual unionist majority in the North’. The party leader – Mike Nesbitt – has left the party leaderless after an abysmal polling result, which is only to be expected as a lot of unionist voters would have shifted their vote to the DUP to back the party with more chance to withstand a nationalist majority. This probably means nothing to the standard voter, as the smaller opposition parties are now starting to dwindle and come the next election – they might not be here at all unless there is a big shake up in party organisation! Are we heading towards a United Ireland? Probably not. Although those who have always voted Sinn Fein will use this result as a way to express a public ‘need’ for a new referendum on a united Ireland (a public vote), it is more likely that the increase in SF and reduction in DUP votes was a reaction to decades of arrogance from the DUP and a retaliation to the RHI scandal (a whole other blog is needed for that one, sorry guys). You mean to say you didn’t vote Sinn Fein because you want a united Ireland? So where does this leave Northern Ireland? 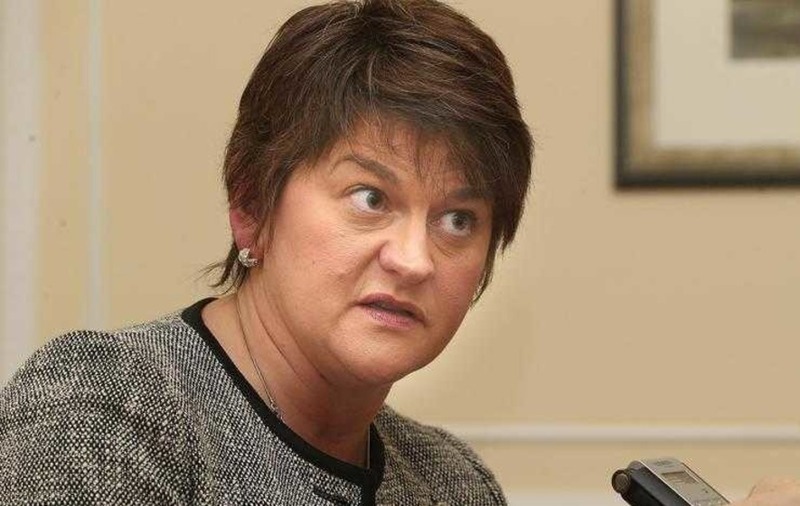 Well, with Arlene Foster in trouble, the DUP could be left leaderless alongside their unionist counterpart UUP party. This means a totally new legion of Stormont leaders could emerge since just 4 months ago, when Foster and Martin McGuinness shared power. As for Brexit, Michelle will use her party’s newly regenerated popularity to fight against Theresa May’s exit from the EU… or Stormont may turn vacant once again. Basically, you can wake up in the morning knowing that things are changing. And for the better. Shannon Quinn is a 2nd year CAM student at Ulster University. She can be contacted on LinkedIn at https://uk.linkedin.com/in/shannon-quinn-556236132 and on Twitter @SQbabes.